The Constellation, with its beautiful curving lines and triple tails was a product of 1930s America and the headlong dash for superiority in wartime aviation technology. The aircraft embodies the power and the romance of the large piston-engined airliners of this period. A complete Virtual Cockpit is modeled and the flight model has been tested by real-world Constellation pilots. A replica of a typical cabin is included to provide a taste of what life was like aboard these great airliners. 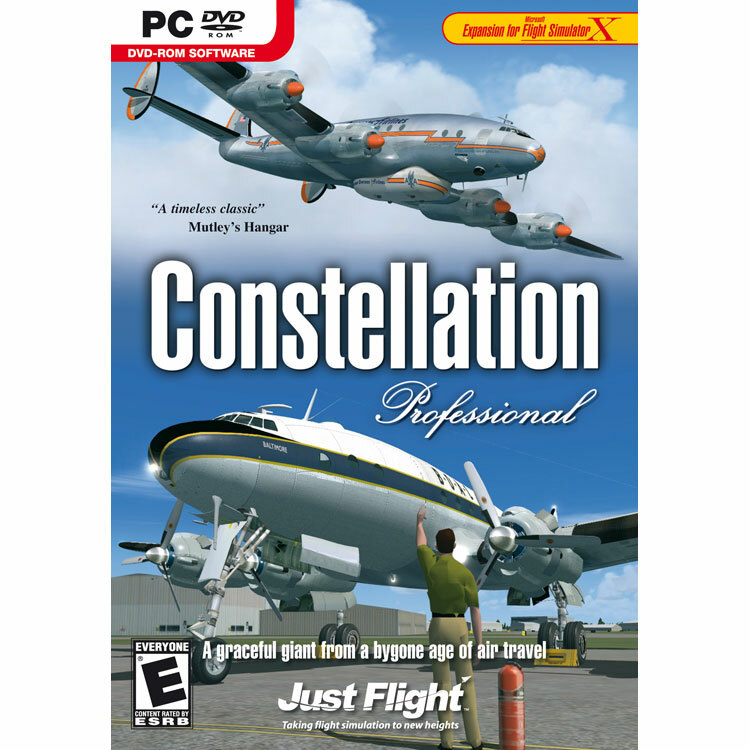 Constellation Professional has been developed exclusively for FSX (SP2 & DX10 Preview compatible) and makes use of the all-new FSX graphics features to amazing effect. This fully functional and detailed Virtual Cockpit has it all! - Complete Flight Engineer's station, radio station and Co-pilot's station with fully functional equipment and gauges, detail animations including outer, middle and inner marker arrays, course deviation meters, prop feathering gear and prop reversers on the throttles.